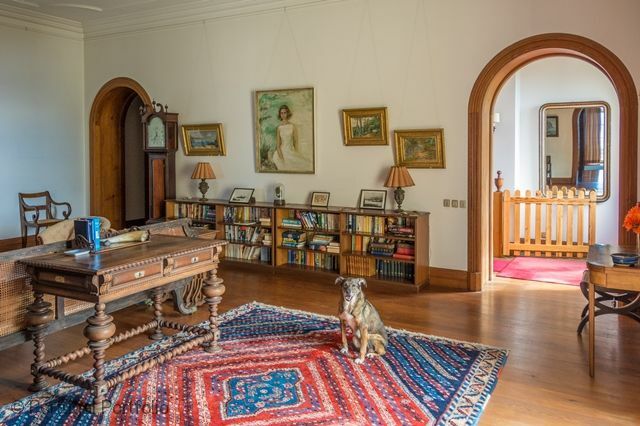 Quinta de Santa Luzia is a fantastically beautiful villa that sits on a traditional working estate which has been in the Blandy family for 7 successive generations. 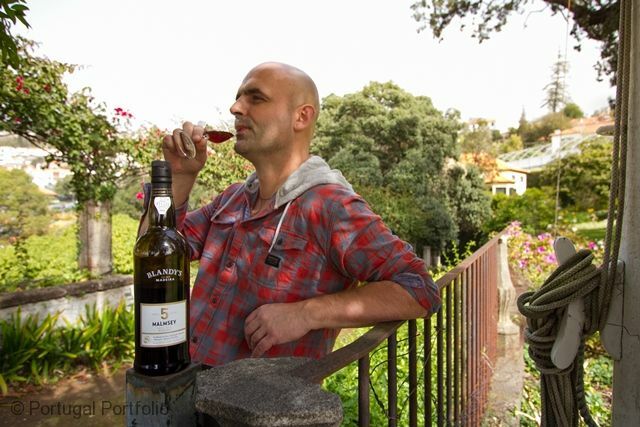 This quinta is producer of the well-known Blandy Madeira wines. 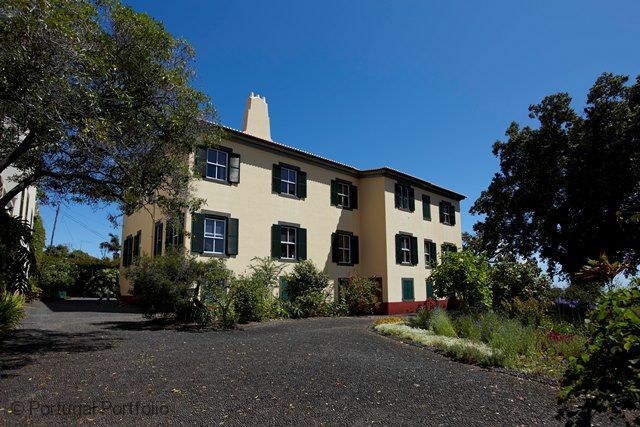 It is a unique property, in that it still runs as a farm / estate as they once existed in Madeira. 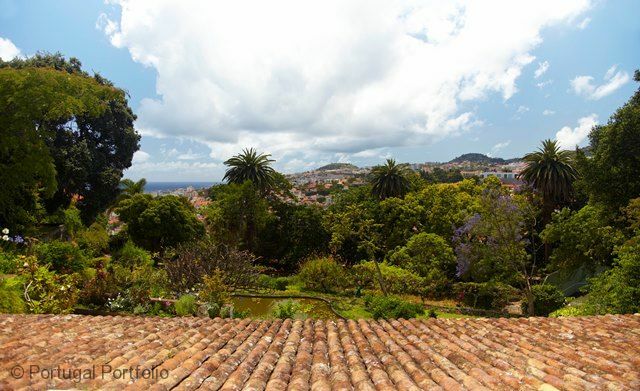 Quinta de Santa Luzia is the traditional family home that sits overlooking the property and the town of Funchal. The views of the ocean and the island are fantastic. 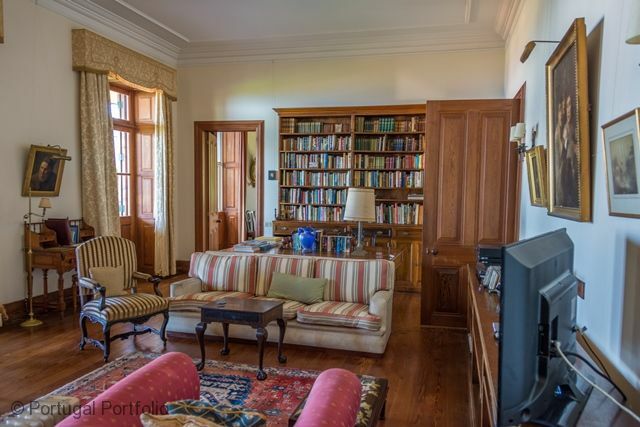 Guests will enjoy the large spacious home with its abundance of history and charm. 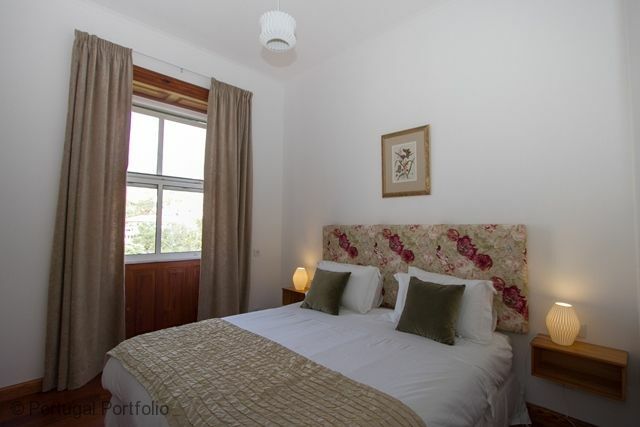 The villa itself has 9 en-en suite baths, a wonderful large dining room, full kitchen, sitting rooms, a full sized snooker table, piano, table football, a tennis court, and a fabulous pool and terrace. 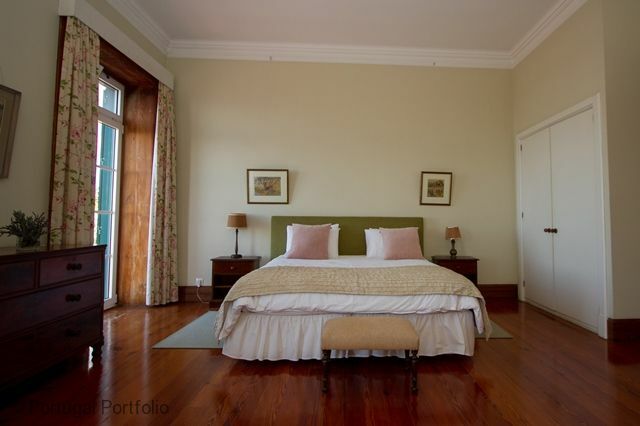 Apart from the home itself, guests will have access to the extensive beautiful gardens. The town of Funchal is just a 20 minute walk down the hillside (and there is a bus to bring you back up!). Livingrooms - There are several living rooms and salons to very comfortably seat a large group. 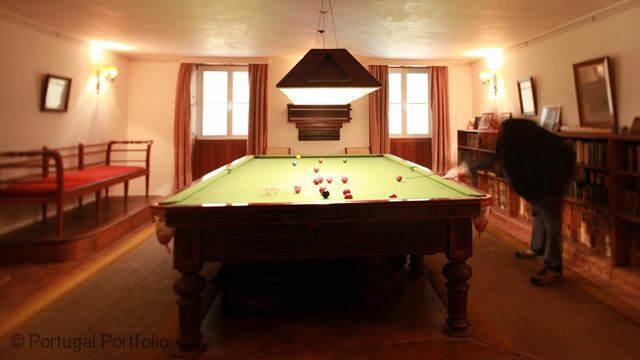 Additional salons and rooms - with full size snooker table, table tennis, table football. Fully equipped kitchen with fridge/ freezer, oven & hob, dishwasher, washing machine, microwave, electric kettle, toaster, blender, orange juicer, etc. etc. Extensive mature gardens with vineyard and pool area offer holiday makers a very relaxed environment to unwind in. 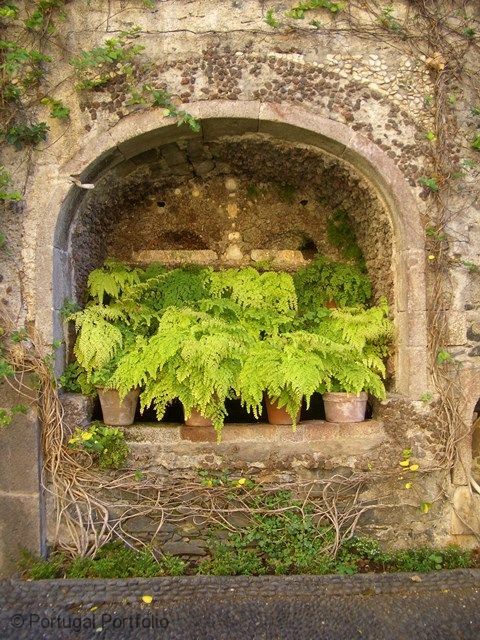 The weather in Madeira makes the gardens usable for most of the year. 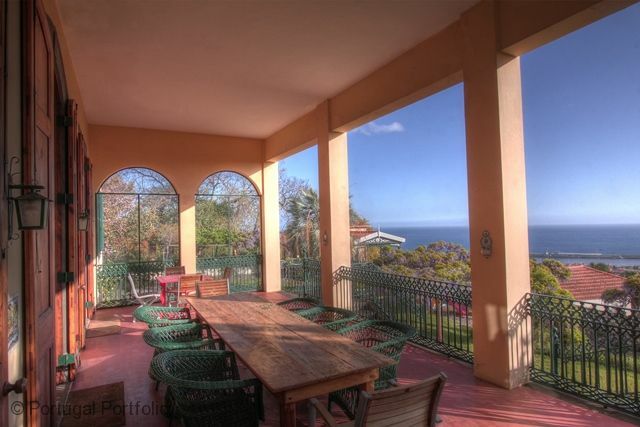 Wonderful sea views can be had from many areas of the house and gardens. Uninterrupted views with total privacy. Apart from the pool and terraces, there is a tennis court and wonderful gardens. BBQ facilities at the pool. 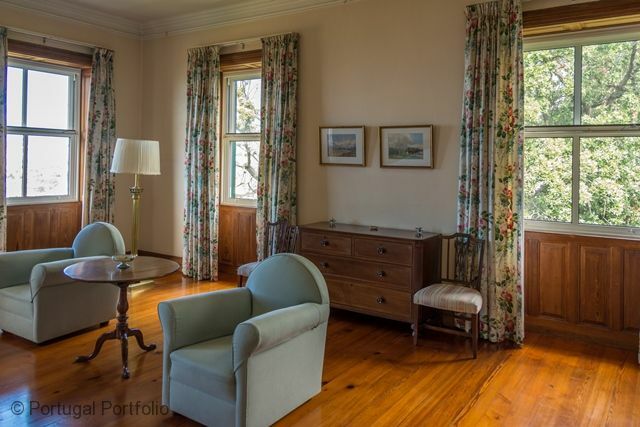 Iron & ironing board, hair-dryer provided, wireless internet, cable / satellite television, selection of DVD's / board games etc, and a library with books for guests use while here. A bottle of Madeira wine. The Quinta de Santa Luzia is located in the centre of Funchal just a short walk down to the ocean front. It offers the advantages of being so close to the old town but away from the bustle. 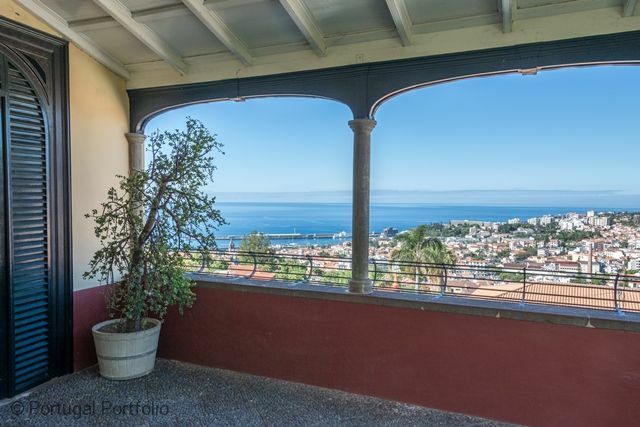 Its elevated position also allows for its wonderful views over the town and the sea views are just breathtaking from here. Large pool deck overlooking the ocean with facilities for summer BBQ's makes this a perfect location for multi - generation family holidays. Locally you have a small beach called Praia de Garajau, about a 15 minute drive from the property. Also a short walk from the property you will find a small regional supermarket for everyday items as well as a few local coffee shops that serve light meals. The larger Continente supermarket is a short drive away. 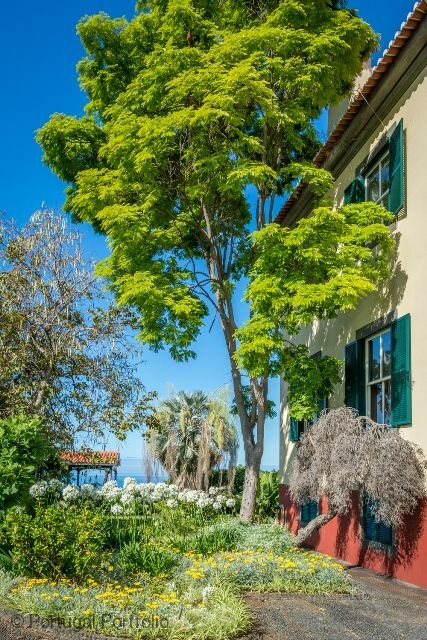 The Quinta de Santa Luzia occupies a privileged hillside location with stunning views of the ocean and the city of Funchal and a real taste of authentic Madeira living. 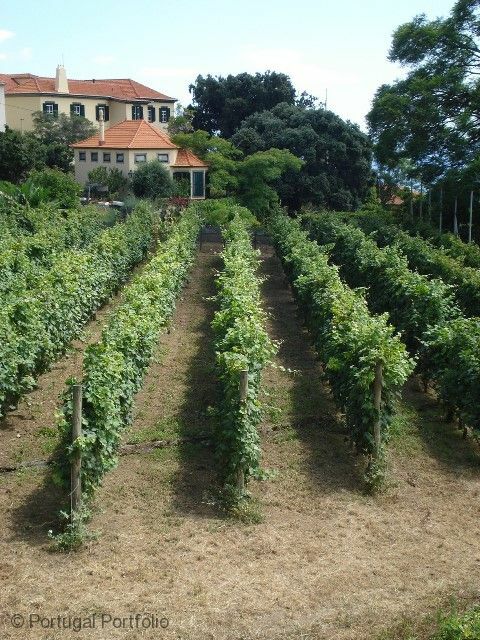 The Quinta (small holding) is part of the vineyard from which some of the Blandy wines are produced. 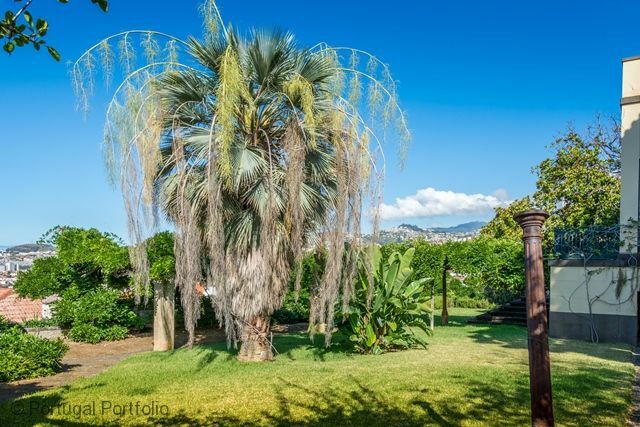 Extensive beautiful gardens offer tranquil surroundings right in the heart of Funchal within easy walking distance to leisure and tourist facilities. 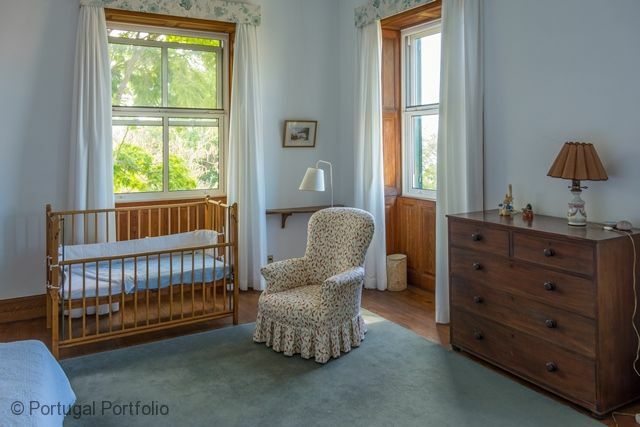 We offer under occupancy rates out of season - please ask us. There is a coffee shop within walking distance - on the Rua de Comboio, just below the house on the left hand side. It also serves basic meals like beef sandwiches, hot dogs, hamburgers etc. at lunchtime only. There is a bakery/coffee shop at the bottom of R. Santa Luzia but its a steep climb back up the road. 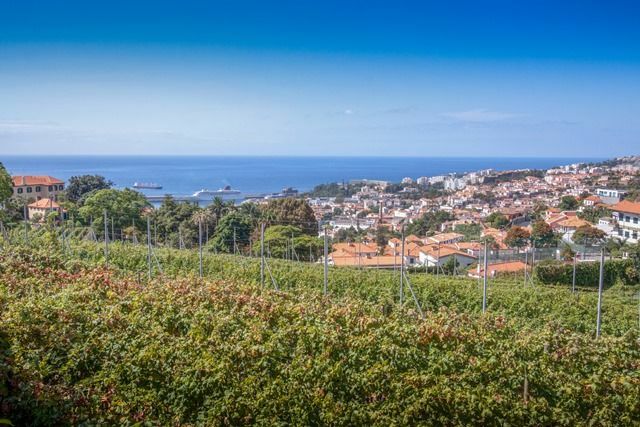 Monte, a small village perched up on the hills overlooking Funchal, is directly above the Quinta and you can get there by the cable car near the market, down town. At this bustling traditional market you can also buy fresh vegetables and explore the variety of fresh fruit and vegetables on offer in our markets. The cable car journey takes you close to the entrance of Monte Palace Gardens another worthwhile visit. Monte is a nice place to explore by foot, yet the return down can be on a toboggan sled. 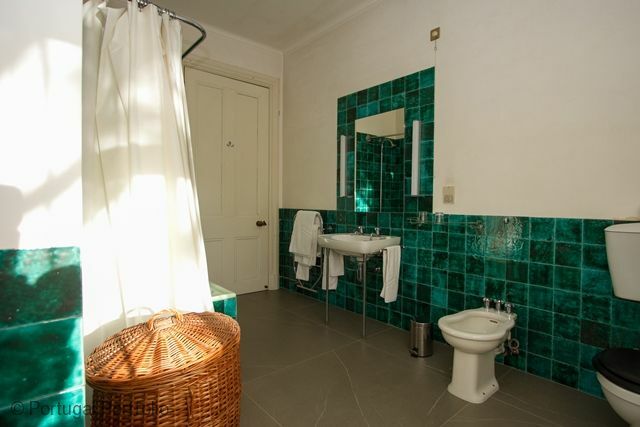 This finishes above the Quinta and you can return within 15 minutes following the steep road down. One of the most traditional feasts, and certainly the largest, is the Assumption of the Virgin Mary, which takes place on the 15th of August. It is incredible the amount of people who pay reverence to the Virgin Mary of Monte. If you are on the island at this time of the year you might like to go up there and get your own impressions. Since the opening of a new coastal promenade, the Lido area in Funchal, already well known for the many tourist facilities it offers, developed even more into an extensive leisure zone much appreciated by locals as well as tourists. Lined with palm trees and bordered by splendid botanical gardens, this promenade links the Lido area with the pebbled Praia Formosa beach at the western end of Funchal, offering breathtaking views over the sea and towards Cabo Girão to all those who stroll, walk or run along there …or who just relax on one of the many benches! You want to go for a swim in the sea or just sunbathe? All along this promenade there are several opportunities to enjoy these activities. Along the Lido promenade you will also find some nice restaurants of different categories and with varied offers, giving you the opportunity to enjoy your dinner while admiring magnificent sunsets and breathtaking views over the ocean and the surrounding areas! Golden Gate – A variety of tasty food, again central location, nice lunch spot with terrace, has a vegetarian option. Museu Quinta dos Cruzes – Apart from the worthwhile museum it has a restaurant with seating outdoors offering simple tasty food in a quiet Quinta location. Happy burger – Offers simple yet with a good variety vegetarian food at a good price. Il Basilico - Italian restaurant serving a range of good quality Italian food from Pizzas, to delicious salads, meat and fish dishes. Bio forma – Good vegetarian food in a below ground level restaurant. Barreirinha Bar/café – Nice Café located near the sea, situated near to Riso restaurant as well. Une magnifique maison ancienne, avec des plafonds hauts, des grandes pièces, un immense domaine, une piscine, des vignes, un parking. Un petit déjeuner copieux et varié pris sur la terrasse face à la ville et à la mer. A seulement 15 min à pied du centre-ville, en descente, la montée est plus rude. 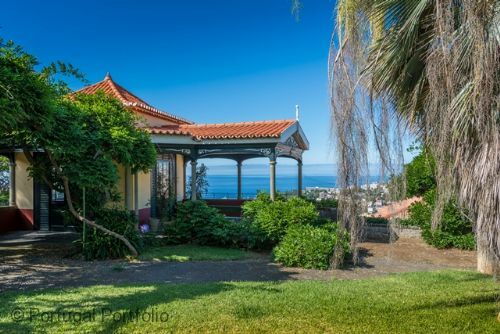 Une excellente adresse pour séjourner et se reposer à Funchal. 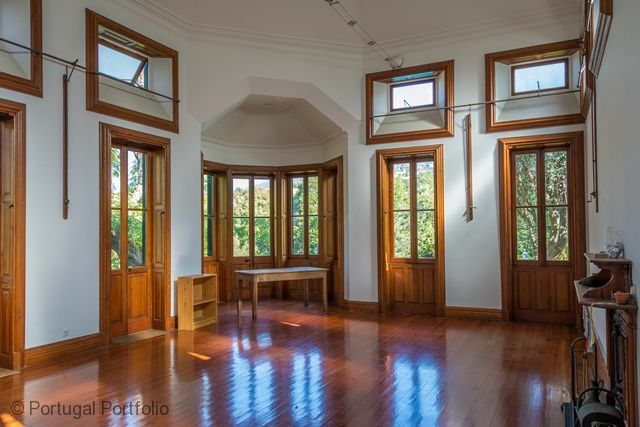 A beautiful old house, with high ceilings, large rooms, a huge estate, a pool, vineyards, parking. A rich and varied breakfast taken on the terrace facing the city and the sea. Just 15 minutes walk from the city center, downhill, the climb is rougher. 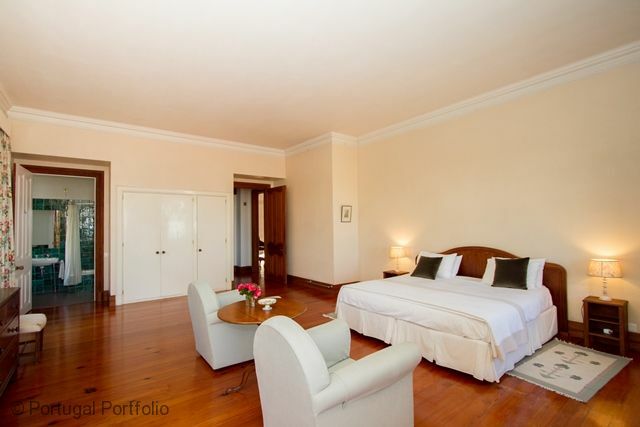 An excellent place to stay and rest in Funchal. 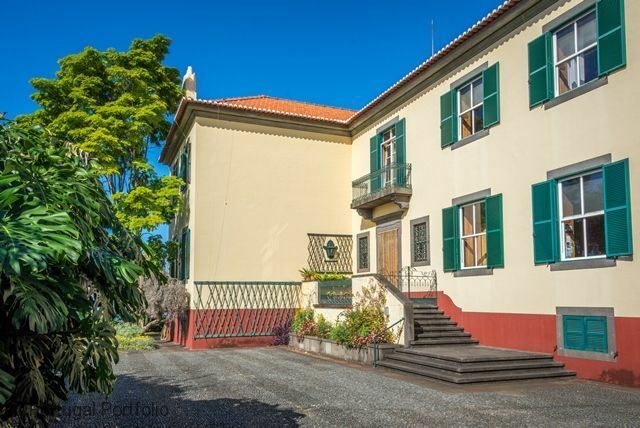 Luxurious and spacious quinta with excellent facilities overlooking Funchal.Ideal for groups with plenty of bathrooms and catering space.Large gardens with pool and barbecue and extra kitchen including another dishwasher. A delightful holiday complemented by a very helpful and relaxed host! Luxurious traditional quinta with excellent modern facilities.Ideal for groups with plenty of bathrooms and catering space.Large gardens and estate with infinity pool and barbecue area and its own kitchen including another dishwasher! We have been going to large villas for many years as we are a walking group, and this property has been by far the best yet. A delightful stay here complemented by Andrew ,our very helpful and relaxed host who will show you around the estate! Quinta de Santa Luzia was perfect for our large family holiday. We had nine adults and seven children in our party with an age range from 2 years to 77. This massive villa and extensive grounds provided more than enough space to ensure we never felt cramped, in fact we spent most of the time trying to track people down. We have been renting villas across Europe for over a decade and this villa is by far the best. 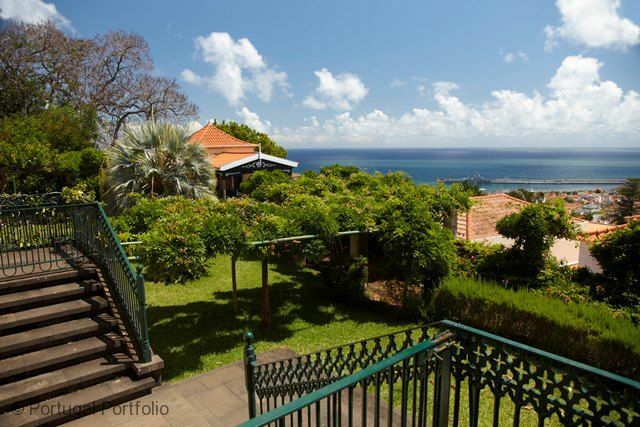 We went to Madeira for our wedding hence staying in nice place was one of the important elements for that trip. Quinta delivered on all we could have expected, all our family guests aged between 6 and 66 were under big impression of the house itself and the surrounding gardens. We have also took some wedding photos at the property hence Quinta will definitely stay in our memories forever. Thank you! We had such a wonderful stay at Quinta da Santa Luzia. Andrew was very kind and helpful and it was a joy to stay at his wonderful house.There is so much to do on the property that no-one hardly went out anywhere. We enjoyed the infinity pool, sing songs around the piano, walks around the nature, billiards, sitting under the wisteria in full bloom and dining al fresco, amongst many other things. 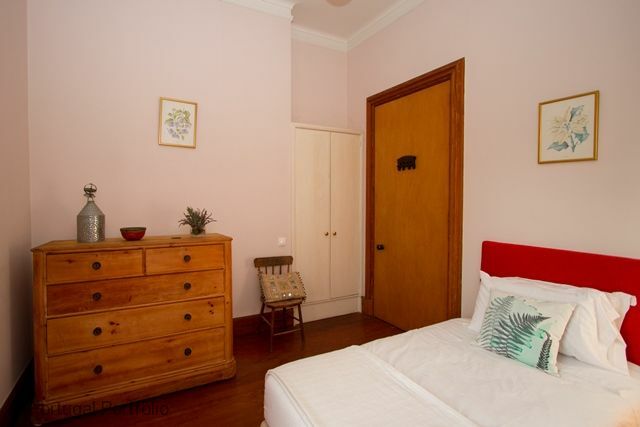 The house is super spacious with so many interesting nooks and crannies. You are close to town and yet so far away. What a wonderful place. I hope we return again in the not too distant future. 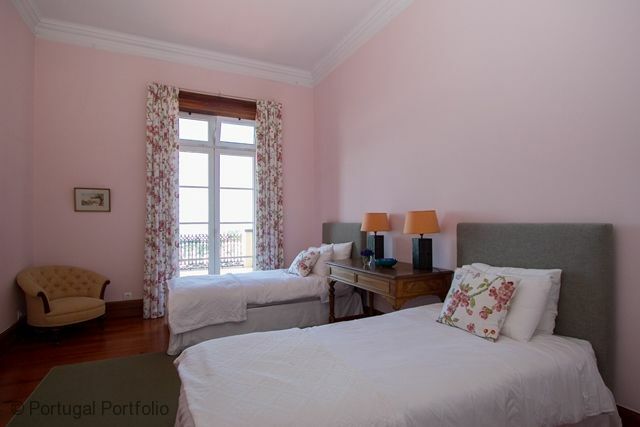 We had such a wonderful stay at Quinta da Santa Luzia. Andrew was very kind and helpful and it was a joy to stay at his wonderful house. There is so much to do on the property that no-one hardly went out anywhere. We enjoyed the infinity pool, sing songs around the piano, walks around the nature, billiards, sitting under the wisteria in full bloom and dining al fresco, amongst many other things. 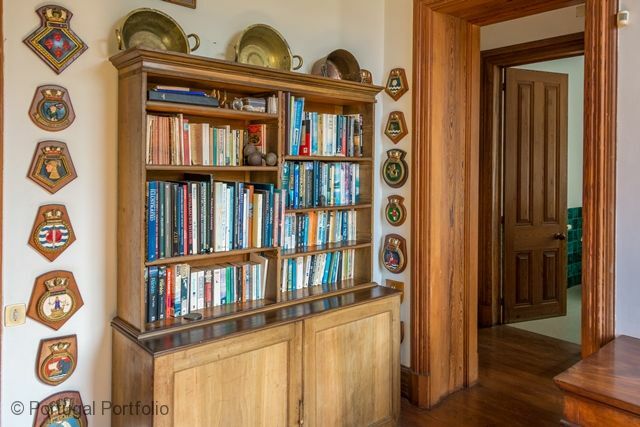 The house is super spacious with so many interesting nooks and crannies. You are close to town and yet so far away. What a wonderful place. I hope we return again in the not too distant future. We had a nice stay for one week during New Year's Eve in Madeira. We were a group of 13 people and have already travelled together. The Villa was a truly fantastic place to stay for a group of friends - it was really awesome. 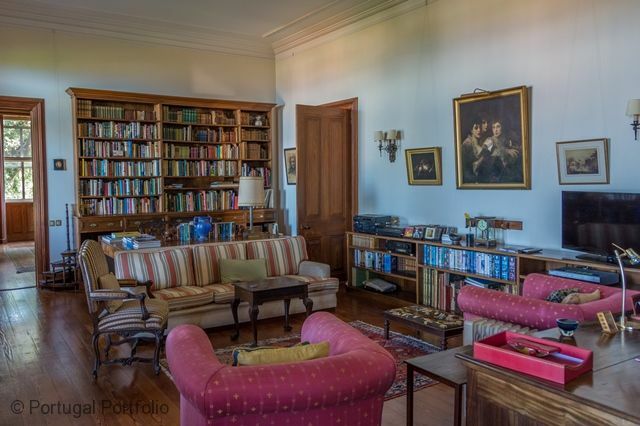 The Villa Quinta Santa Luzia is a house full of history. 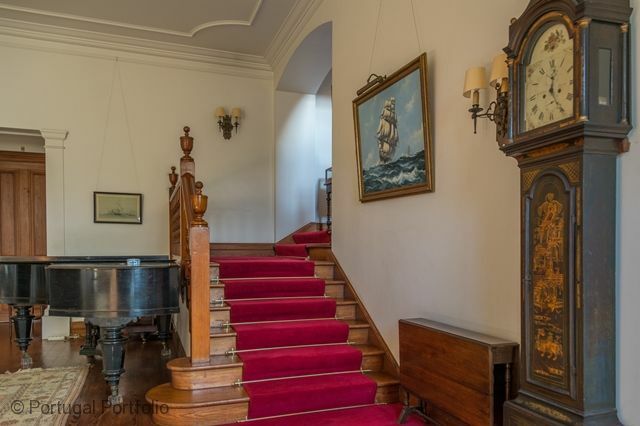 The interior of the house is beautiful, with many lovely pieces of artwork and furniture. 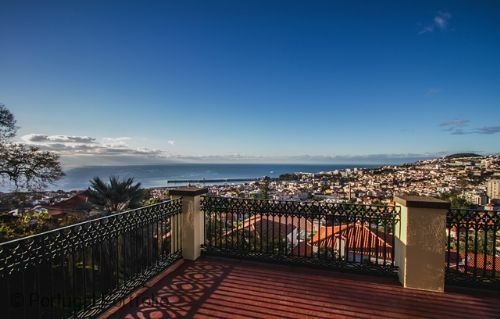 The villa offers a lot of space (large bedrooms, large receptions rooms, a modern and well equipped kitchen, a terrace with a big dining table, a nice pool ...) and a beautiful and unique panoramic view over its garden, as well as the harbour of Funchal. The greatest experience was, for all of us, to see the fireworks from the terrace of the villa - very impressive und unforgettable. Our host, Andrew, was very warm und helpful. We sincerely recommend a stay here. 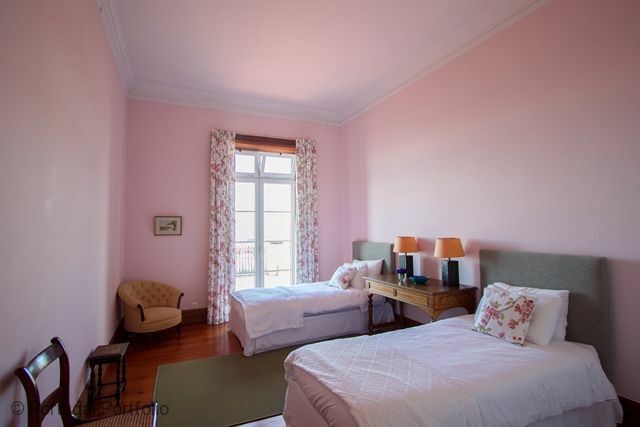 We thoroughly enjoyed our stay at Quinta de Santa Luzia! Our family reunion with 14 people was STELLAR! 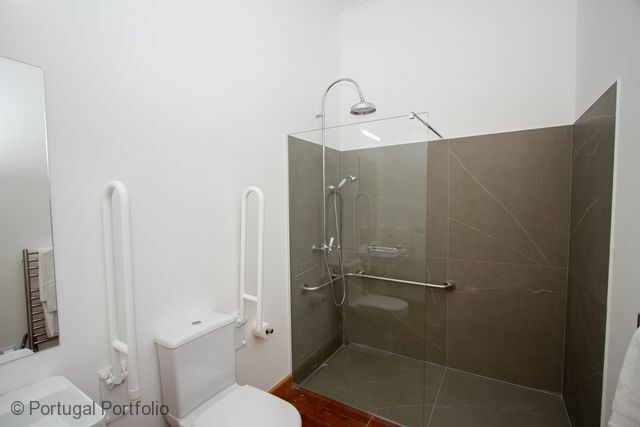 So much space and the individual ensuites was BONUS! 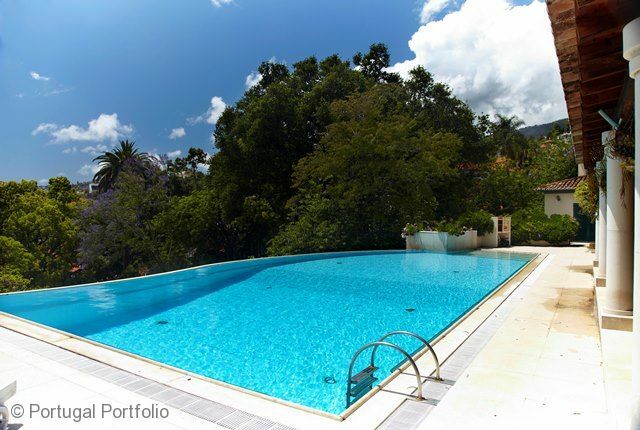 After all the outings and long days touring, we so looked forward to returning to the Quinta and the pool!!! It was more than we expected. 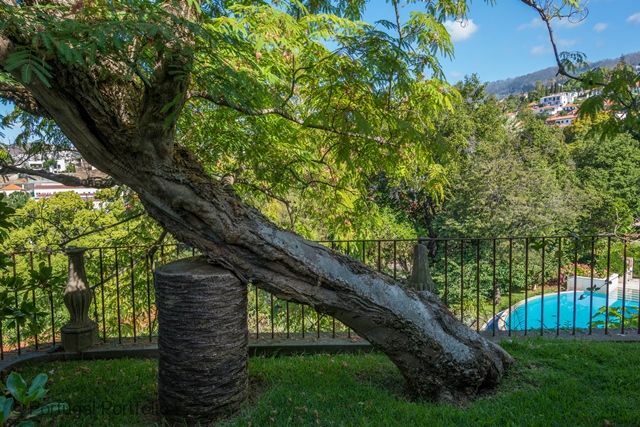 Great location, the house, the views, the pool....all STUNNING!! We already hope to return in the next two years. It was a real pleasure to stay in your beautiful house with my children and grandchildren. 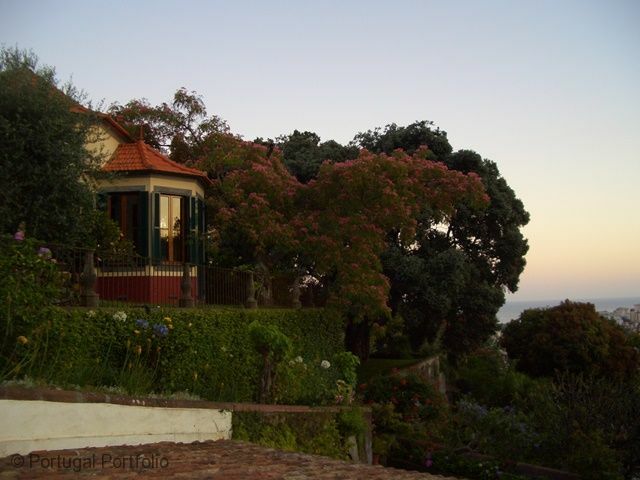 We enjoyed our stay in such a beautiful house that is part of the history of Madeira. The terrace and views are magnificient and we enjoyed our long evenings there. Thanks also for your help and kindness. The holiday home was perfect for us. Our contact person Cassie was really helpful and informative. I would definitely recommend this holiday home! We stayed in August 2016 for 10 days. We were a family group of 6, 2 adults, and 4 teenagers - 14,15,17 & 18 and we had a superb time. We went for rest and relaxation and that is exactly what we had. Sadly we were staying at the Quinta when the dreadful Funchal fire happened and we had to evacuate the building. Thankfully there was only a little damage to some plants and trees and the property was unscathed. Andrew, the owner, and his team worked very hard to ensure that the pool and pool area were cleared asap from the soot and dirt from the fire and we were able to fully enjoy our time in Madeira. 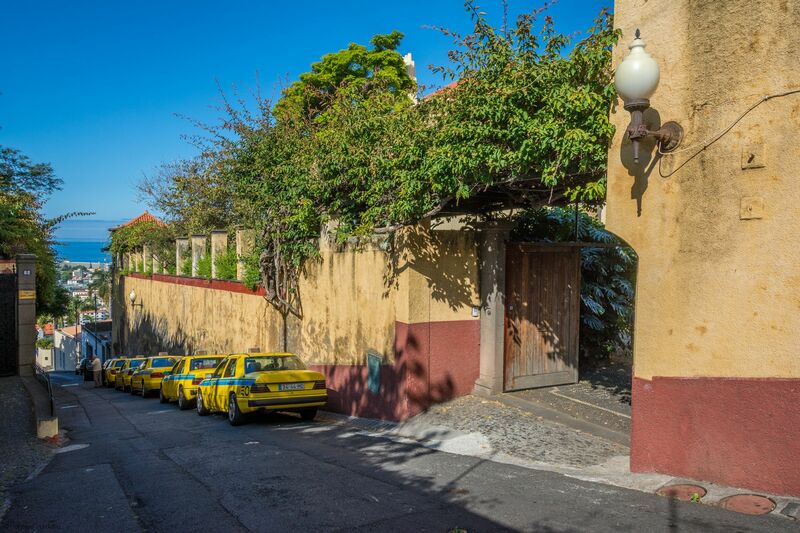 The Quinta is situated on a very steep hill and we walked down into Funchal every day but returned by taxi which cost around 5-7 euros. 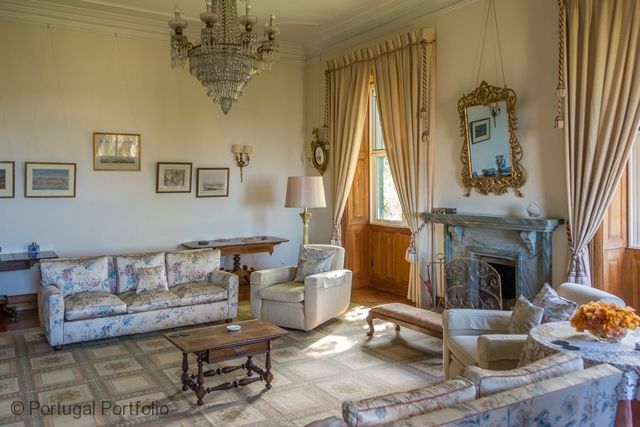 The property sits in a beautiful and very large garden, with beautiful ponds and trees and stunning views especially from the pool area and the terraces at the house. The kitchen is well equipped and the small kitchen by the pool came as a welcome surprise to us as it meant that we could keep cold drinks and snacks handy for during the day. 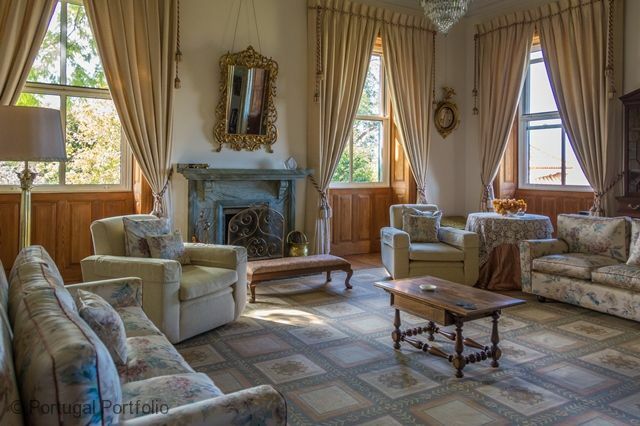 The interior of the house is beautiful, with many lovely pieces of artwork and furniture. We used the snooker room regularly and spent many a happy evening with a bottle of wine, sitting on the terrace enjoying the night time sea view. 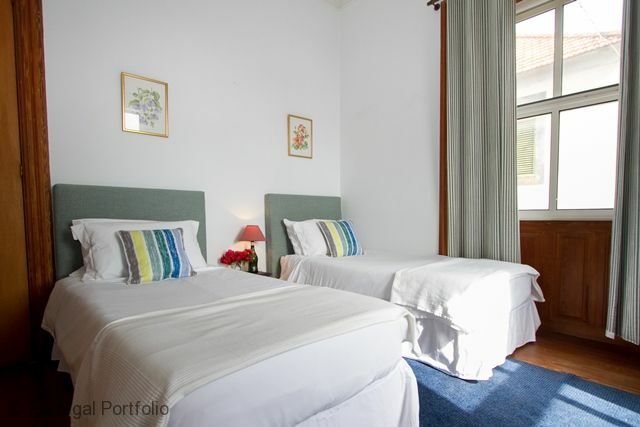 The rooms are all huge, the bedrooms each with a private bathroom. 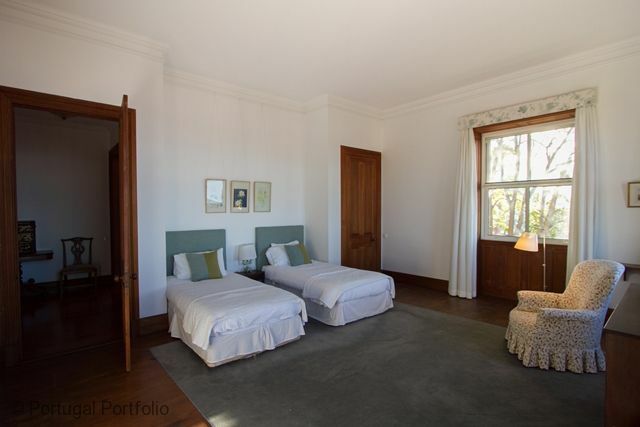 I have nothing negative to say about our stay at Quinta de Santa Luzia. We will be back - soon I hope. We had a wonderful holiday at La Quinta. The house and grounds are beautiful and we had a very warm welcome from the owner Andrew Blandy. 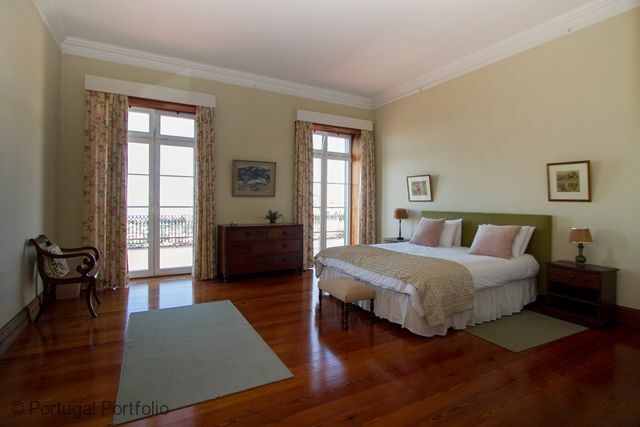 The rooms were magnificent, all en suite with beautiful views of Funchal. 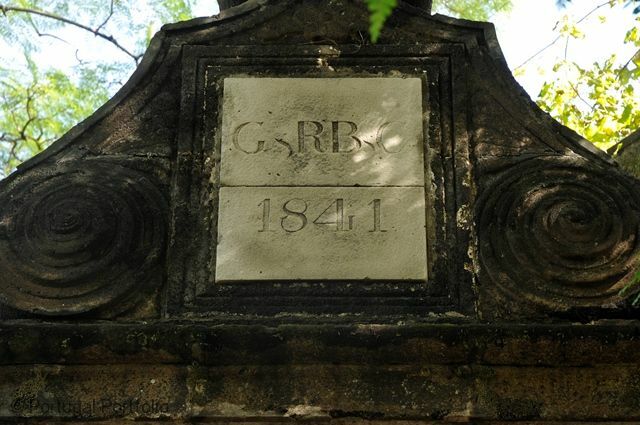 There are a number of different walks around the property. Our favourite was round by the pond where the frogs are in abundance, jumping in as you approach. 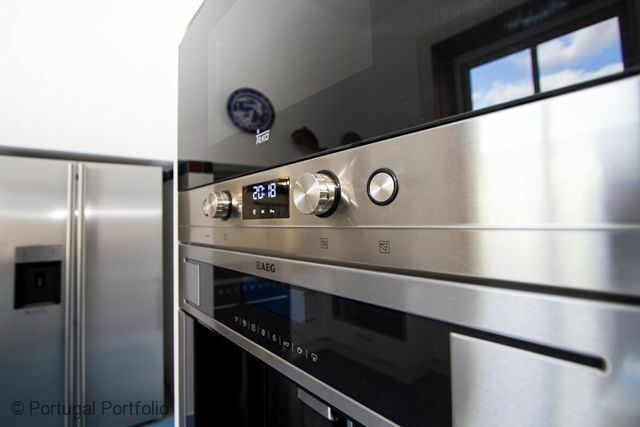 Any issues we had, which are bound to happen in such a large and old property such as leaking boiler, broken cupboard door and cooker not working at the pool, were dealt with promptly. The pool was lovely with great views of the gardens. We had lots of games of table tennis on table next to pool. We all felt very welcome and had a wonderful holiday. And thank you for being so efficient in all of our dealings. La quinta is superb, we had a very pleasant stay. spotlessly clean, everything you need for cooking. Home excellent, discreet and helpful people. We have lacked nothing. 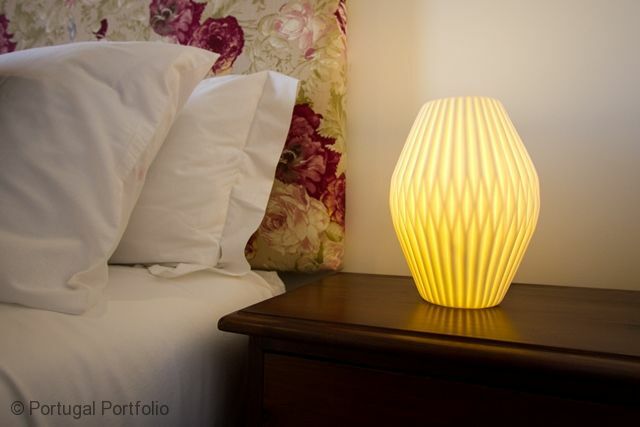 It is a place of dreams and our entire family, children to parents and grandparents felt at ease and very comfortably. A week of castle life. Thousand times thank you to all the team and Andrew. Wow....where do I begin to describe what a wonderful time we had staying here? When we walked in, we felt like we were at Downton Abbey! 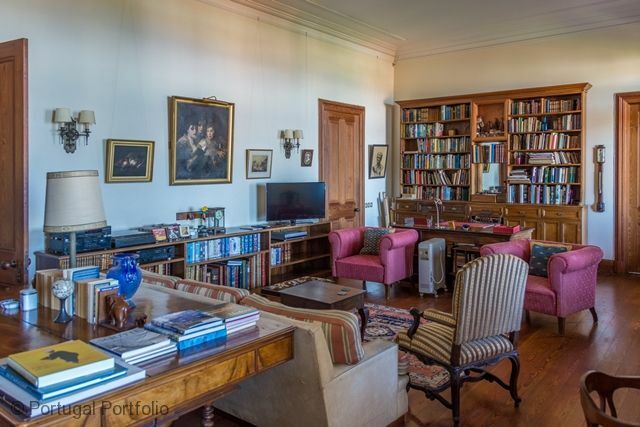 The villa is an amazing old house, very spacious so that even with a large group, there is space for everyone to find their own corner of quiet. 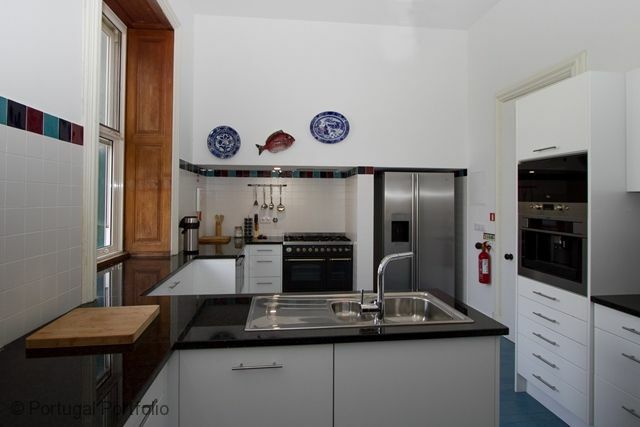 We loved the large kitchen and large dining room as we could prepare some meals for ourselves. The porch facing the harbor got the most use however -- there is easily room enough for 15-16 people out there, and it was magnificent to have breakfast and dinner out there, or to just have coffee or after dinner wines (Blandy's of course!) while enjoying the sunrise or sunset or city lights. The grounds are worth another paragraph! We found many banana trees, lots of grape vines (of course!) a pomegranate tree, an orange tree, some others we couldn't identify and dozens of flowering bushes and vines. And this was not even high-season for flowers or fruit! And of course we also found the sheep with young babies, and the rooster with his lady-birds! We enjoyed talking with some of the workers on the farm.....everyone was so friendly. There are many paths on the property that we enjoyed exploring....and it seems that we found a new path every time we walked! 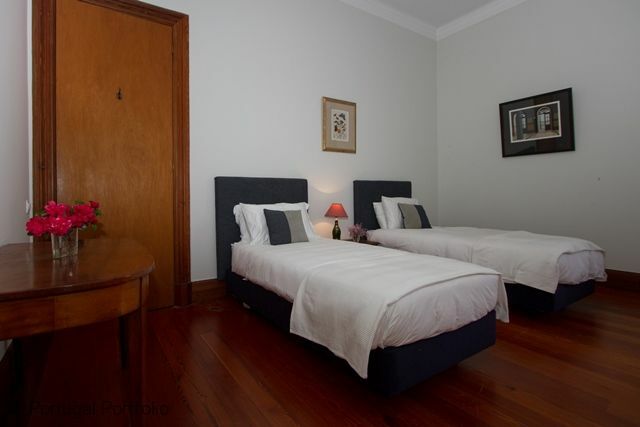 The Quinta is a wonderful oasis in the city and we all agreed we'd love to visit again! 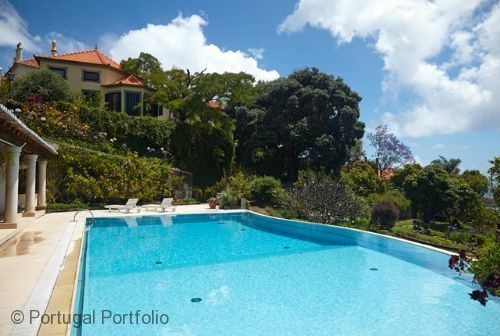 Quinta Santa Lucia was fantastic.The decor, the equipment and the surroundings were perfect, the garden and pool area worked perfect and we enjoyed the long warm evenings on the terasse with fantastic wiews over Funchal and the sea. Thank you very much! 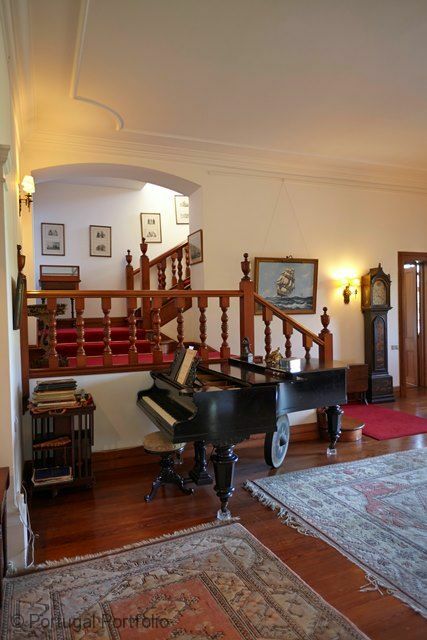 The accommodation immerses you in a special part of Madeira's history with an insight into the Blandy family life. The rooms are huge, the views brilliant and the amount of space has to be experienced to be appreciated. Other positives - the terrace for dining, the well equipped kitchen both in the house and by the pool, the games by the pool and snooker room. 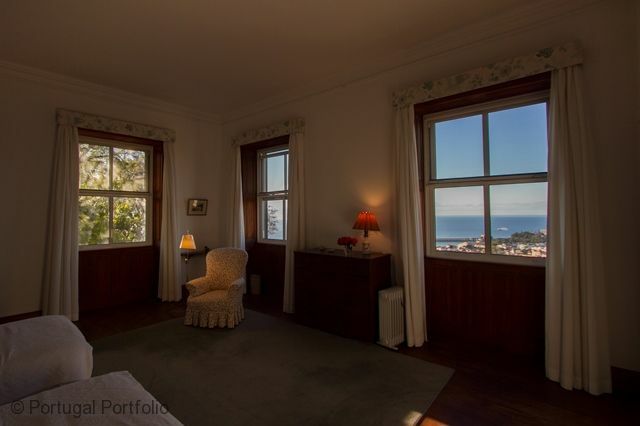 Bedrooms are large with great views. Andrew and his pet dogs etc etc. Areas for improvement The tennis court needs repair, bathrooms although functional could do with modernising. The walk up hill will test your fitness although taxis work well However overall a very memorable stay in a special place!! We had a brilliant time at Quinta de Santa Luzia. We all agreed that this was the most amazing place we've ever holidayed. The house itself was so elegant and so spacious. There was so much choice of where to relax: sitting room, library, terrace, study and where to eat: breakfast room, dining room, terrace. 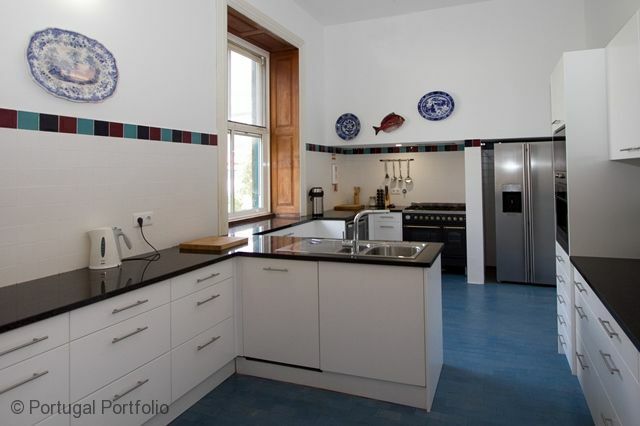 The kitchen was very well equipped- three different types of coffee maker for instance. The garden was beautiful especially with the May flowers being in bloom and it was huge! We admired the landscaping and terracing as well as the various ponds which were well populated with a good number of vocal frogs! The infinity pool was well used despite the weather being coolish and we enjoyed the BBQ area and the covered poolside dining area with fresco. Andrew made us feel very welcome, making us feel completely at home and was always helpful if we needed anything. A wonderful and unforgettable holiday! The stately and truly immens Quinta and its breathtaking grounds (extending several hectares!) breath history throughout. You find yourself privileged being "Lord of the Manner" for a couple of weeks, staying in a house where (wine) history was written. 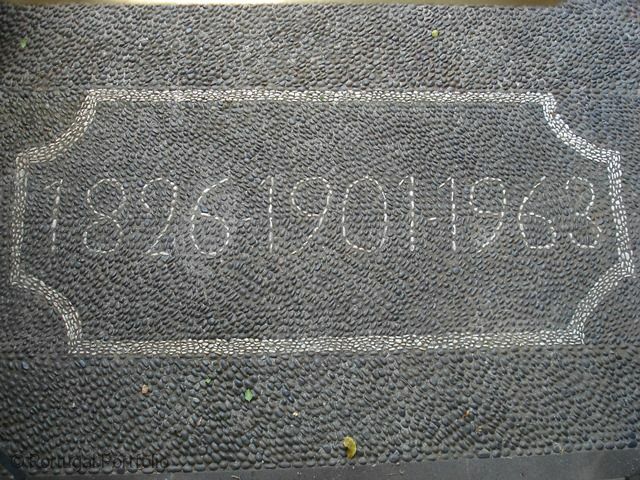 And still, the house and the grounds have this special something which makes you feel at ease and at home from day one. Andrew, the owner who grew up at the Quinta, is partly responsible for that. An excepionally modest, 2 feet on the ground, kind of guy. Andrew obviously knows everything there is to know about the house, his family (which is the family behind Madeira's most famous Blandy's wine - google it, it's very impressive!) and the island and is very happy to share this information with you on a very personal level. 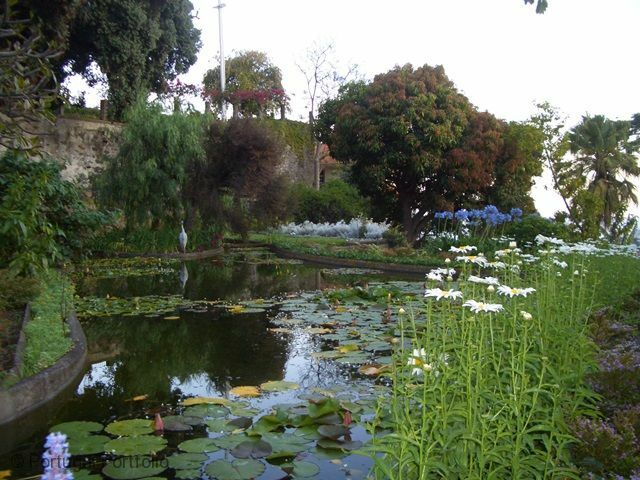 Everything you can possibly wish is there (private tennis court, giant pool, private park so big you get lost in it, working farm, own herbs/vegetables/fruit...) But if you also wish to discover Funchal itself, you can't beat the location; we just walked outside the impressive gates, down the hill and we were in the buzzing historical centre. Thankyou so much for letting us stay in your truly amazing Quinta. 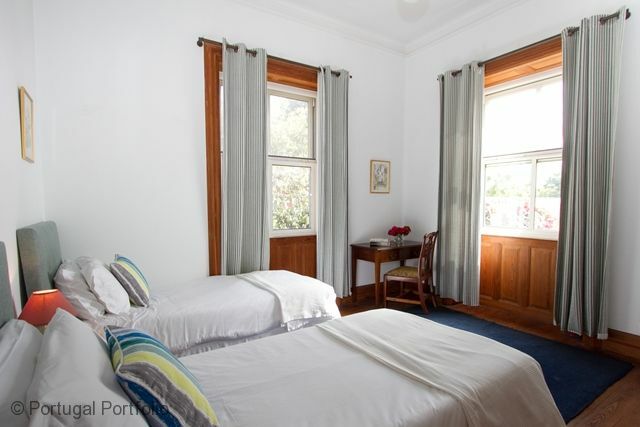 You have large rooms full of history and charm. We enjoyed lunches on the veranda with the beautiful picture-postcard views. We loved the stunning artwork everywhere and Harry entertained us on the grand piano. We also relished our swimming sessions in the endless pool. We made the most of the tennis, tabletennis and pool toys. Your farmland, the adorable sheep and magnificent flora and fauna was an awesome sight to behold. We very much enjoyed the opportunity of picking our own delicious lettuce. We also looked forward to strolls around the pond watching the frogs hopping amongst the lillies. We had a wonderful time. The place was more like a palace rather than a villa! It was a balance of fun and activities with the swimming pool, tennis courts and the billiards rooms with the relaxation of the beautiful surroundings, quiet area and historical style. The host was charming and attentive. I would highly recommend this place and I for one will be coming back again. Absolutely loved it. Just to add Quinta da Santa Luzia has a certain charm and essence that would be hard to replicate. Need I say more! We had a wonderful stay. The house is beautiful and equipped with every necessity, the view is unique, the gardens and pool are lovely, and the owner (Andrew Blandy) is very nice, relaxed and attentive. We all would love to come again. Hi there, we had a lovely time in Funchal at the quinta da santa Luzia. We did some beautiful levada walks and had some gorgeous fishy dinners. The owner was immensely courteous and helpful. 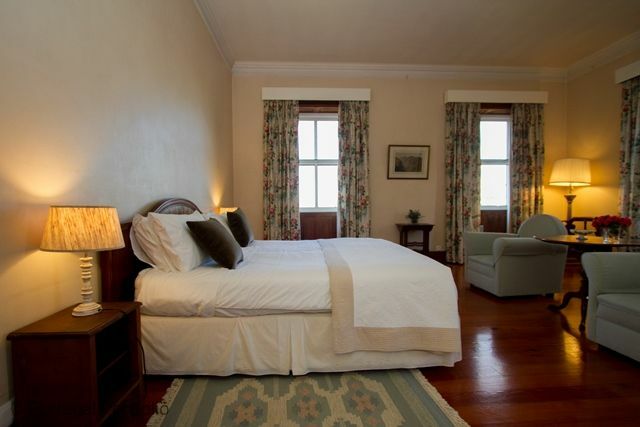 The beds were very comfortable, the rooms gracious and the views gorgeous. We really appreciated the piano being tuned for us! 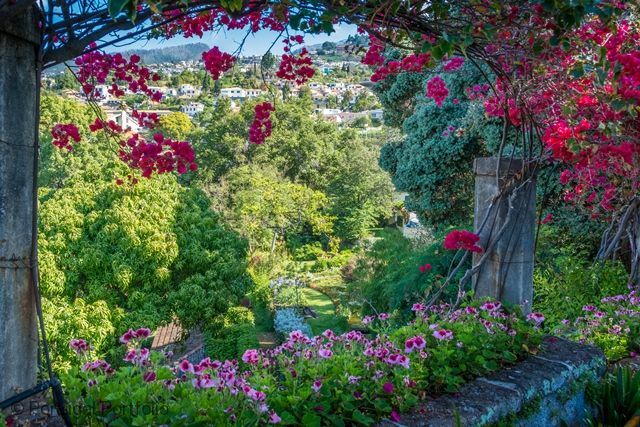 We got back from Funchal this past Sunday, but in our minds we are still there enjoying the wonderful Quinta Santa Luzia and the sun. 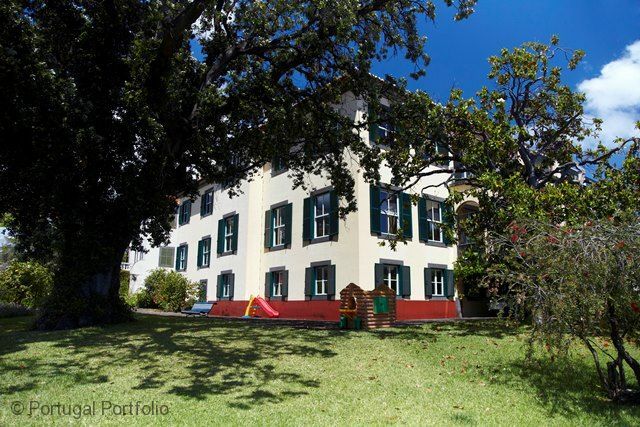 We found hard leaving Funchal and Quinta Santa Luzia has an important contribution to this extraordinary experience. Again thanks for your help in making this a memorable holiday!!! !We really felt at home at Quinta Santa Luzia and the whole family from grandparents to children had a great time. We spent a wonderful time here. We enjoyed living in your house, it is very beautiful and has its charm, because of the history it has. Everything is very convenient and nice. We loved walking in the garden, your beautiful swimming pool and an amazing view from everywhere. The situation of the house is great! 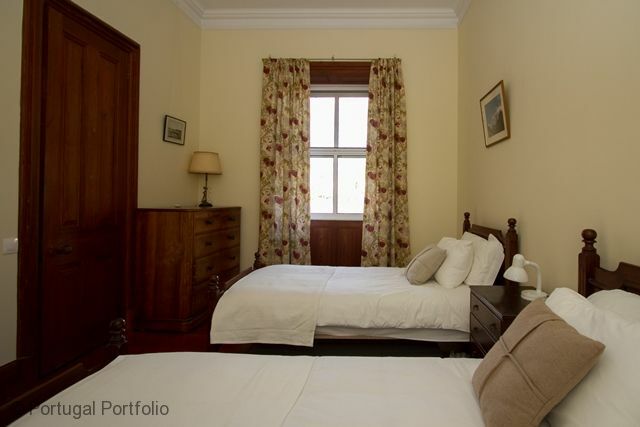 It feel like you´re living in the countryside, but still it´s on a walking distance from the town centre. We have had the most wonderful stay in your home! And we appreciate that it has felt like "home". The viewpoint from the terrace is memorable and with easy access to Funchal (without a car) taxi is just outside the door, it has been an ideal base.